1 July 2016, Singapore - Race promoter Singapore GP Pte Ltd today announced the complete music line-up for the Padang Stage at the 2016 FORMULA 1 SINGAPORE AIRLINES SINGAPORE GRAND PRIX (16 to 18 September). 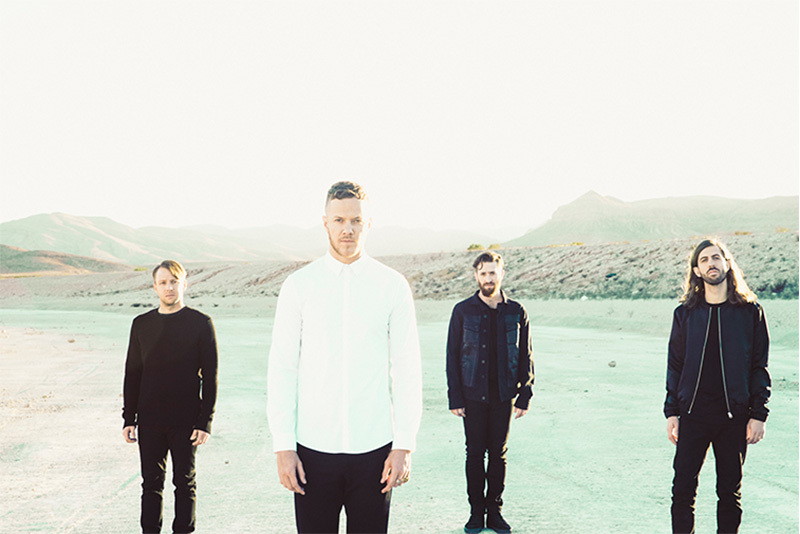 Ticketholders to the night race will enjoy fulllength concerts from Imagine Dragons and Halsey, in addition to the racing action. They join the spectacular line-up of international headliners at the Marina Bay Street Circuit, which already includes Kylie Minogue, Queen + Adam Lambert, Bastille, KC and the Sunshine Band and Pentatonix (See Annex 1 for entertainment schedule). Best known for stadium-ready anthems, Imagine Dragons has enjoyed international success and recognition following the release of their debut studio album Night Visions in 2012. The double platinum certified album debuted #2 on the Billboard 200, and sold over 3.9 million albums and 24 million tracks. Formed in 2009, the multi-platinum alternative rock band - made up of frontman Dan Reynolds, guitarist Wayne Sermon, bassist Ben McKee and drummer Daniel Platzman - took home the Best Rock Performance for their smash single 'Radioactive' at the 2014 Grammy Awards. This is in addition to their impressive number of awards, which includes two American Music Awards, five Billboard Music Awards, two Teen Choice Awards and a World Music Award. The Las Vegas quartet's latest album Smoke + Mirrors, debuted at #1 on the Billboard 200, UK and Canadian albums chart. It was also certified gold in the U.S and UK. Imagine Dragons fans can look forward to their smash hits 'Shots', 'It's Time', 'On Top Of The World', 'I Bet My Life', 'Demons', 'Gold' and more at their performance after the last track activity at the Padang Stage (Zone 4) on Sunday, 18 September. Access to Imagine Dragons' concert at the Padang Stage is included in any three-day 2016 FORMULA 1 SINGAPORE AIRLINES SINGAPORE GRAND PRIX (from S$268) or Sunday Zone 4 Walkabout tickets priced at S$198. Having begun her career by posting cover songs online and playing acoustic cover sets, Halsey - an anagram of her real name Ashley Frangipane - shot to fame with her self-penned single 'Ghost' in 2014, which has since garnered more than 23 million views on YouTube. The singer and songwriter released her debut studio album Badlands nearly a year later, which debuted #2 on the Billboard 200 chart and was certified gold. Known for its dark, gritty electropop sound and lyrics, the album included hit singles 'New Americana', 'Colors', and 'Castle', a version of which appeared on the soundtrack of The Huntsman: Winter's War. Since then, the MTV Artist to Watch continues her meteoric rise into the pop stratosphere, fronting a global BADLANDS tour, with tour dates sold out across 5 continents. The New Jersey native also opened for Imagine Dragons and The Weeknd for their arena tours. Halsey will perform before the Formula 1® race at the Padang Stage (Zone 4) on Sunday, 18 September. Access to Halsey's concert at the Padang Stage is included in any three-day 2016 FORMULA 1 SINGAPORE AIRLINES SINGAPORE GRAND PRIX (from S$268) or Sunday Zone 4 Walkabout tickets priced at S$198. For the first time, Singapore GP will be collaborating with Music Matters Live, Asia's premier independent music festival, to provide a much-coveted opportunity for one extraordinary Asia Pacific emerging music act to perform at the 2016 FORMULA 1 SINGAPORE AIRLINES SINGAPORE GRAND PRIX. International music industry moguls attending the conference in Singapore this September will vote for the winning act from the Music Matters Live festival line-up. The winning act will perform at the Sunset Stage in Zone 1 on Friday, 16 September. For more information on Music Matters Live, please visit https://musicmatterslive.com. With the recently announced revision of the Padang Stage layout aimed to deliver a more up-close concert experience, gates at the Marina Bay Street Circuit will be renumbered. All ticketholders are reminded to check the updated Circuit Park map prior to the race weekend.